Angela Martin is competing with a heavy heart. 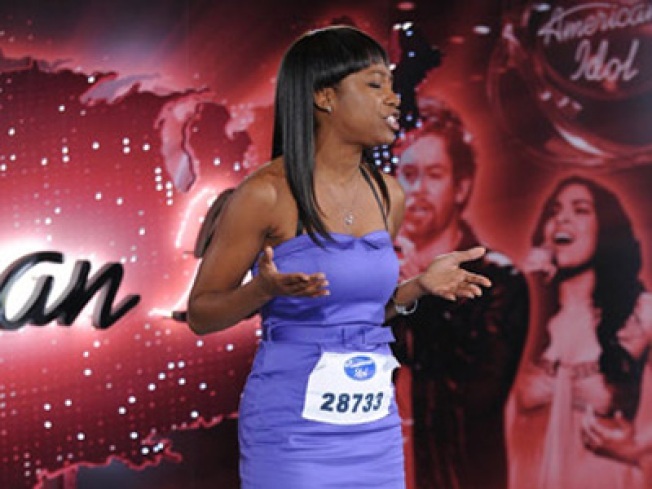 "American Idol's" Hollywood week is usually a time of great emotion for the contestants, but one hopeful on the FOX show has more to deal with than most – her mother is missing. Viola Brown Martin, the mother of 28-year-old Chicago resident Angela Martin, has been missing since the day after Christmas. According to People, the family filed a missing person's report, but shortly thereafter –on New Year's Eve — police in Glenwood, Ill., found Viola's car, a 1999 Chrysler Cirrus, in the south Chicago suburbs of Riverdale and Dixmoor — an unfamiliar neighborhood. "We haven't stopped looking," Angela told the mag. "We've been out in the cold, and before I left to go to Hollywood, we were looking. I think what hurts us the most was they found her car but they didn't find her. It was abandoned in a forest preserve in the dark. We just want to know, what were you doing over there?" Angela, who is currently still battling it out at Hollywood week, said there has been no news on her missing mom. "We haven't heard anything yet," she said. "The detectives have been calling my sisters and myself, and just keeping us informed. They say they are still just looking and asking us more questions, if we know anything but her friends are calling us, so it's hard." Angela has left the competition before due to difficult circumstances. In 2007, she made it to Hollywood, but left after her father was murdered. Her second time making the Hollywood round she again had to leave the competition to take care of a traffic ticket in court. Angela said her fellow "Idol" competitors this time around are helping to keep her spirits up. "The mothers, the other contestants, everyone has really, really held me up," she told the mag. "They have told me they are praying for me. I mean, the mothers of the contestants that I'm in a competition with have been really supportive. I thank God today because I kind of lost it a lot, seeing the mothers and fathers here, but I'm pretty tough. "Music heals my soul and it heals my heart and I tell everyone, I have a Band-Aid on my heart right now and I don't know if it is going to fall off soon, but it's keeping me whole and it's my music," she added.